Our habits play a giant role in determining our level of happiness. That’s why it’s vital for us to choose and live the habits that are most likely to bring about feelings of positivity and joy. In the second episode of a series on happiness, Dr. Daniel Amen and Tana Amen give you a list of habits you can adopt to increase your feelings of well-being. Dr. Daniel Amen:	Welcome back. We are going to talk about the habits of a happy mind. We're in the beginning of Happiness Week. This comment was left on Tana's website. Tanaamen.com. "I can't begin to tell you how much you and Daniel have literally changed my life. I've always been an overachiever, but I also struggled with depression, and sometimes I just act like a complete recluse. After listening to your podcast religiously, trying to catch up to the current ones in 2018, it occurred to me that I might suffer from ADD. This never once occurred to me because I didn't have the classic symptoms you think of when you think of ADD. Nevertheless, I visited my physician and he was able to determine that I likely did have a form of ADD. He gave me a trial run of Adderall and my life is forever changed. My impulse control is vastly improved. I was able to land my dream job, and everything is just so much clearer. Perhaps the most significant impact on my life is my ability to accept the former instances of abuse in my life, and deal with it." Dr. Daniel Amen:	"Understanding how they affect my current life, which is pretty perfect, has been so powerful. Your story and how you overcame so much gave me the courage to address my past. More importantly" ... And I'll tell you why I'm laughing in a little bit. "More importantly, it has given me the warrior mentality. I want to be a warrior. Not only for my brain, but for my heart, my soul, my family, and all those I care for." Dr. Daniel Amen:	"You and Daniel have inspired me to be a better person, and for that I am forever grateful. I intend on visiting one of your clinics in 2019, most likely the Atlanta location, and I am so excited to learn about my brain. I am certain there will be findings that explain even more about my life so far. I thank God for leading me to your podcast and to you, and Daniel. You are both such a blessing in my life, and I thank you for the work that you do." Tana Amen:	Well, that made me teary. Dr. Daniel Amen:	This is from Lisa. Tana Amen:	Speaking of Happiness Week, that was awesome. Dr. Daniel Amen:	That's a habit of happiness. Dr. Daniel Amen:	Reading the reviews from the people. You know, we've done more than 300 podcasts. Tana Amen:	That was an awesome testimonial. Dr. Daniel Amen:	And you were so private. Tana Amen:	[crosstalk 00:04:04]. I hadn't ever done that. I had never spoken anything about anything to anyone and I never was going to. Dr. Daniel Amen:	-you were perfect. Tana Amen:	Yes. I had this perfect wall. This perfect façade. Dr. Daniel Amen:	And you shouldn't have been with a psychiatrist. Tana Amen:	You were so irritating. Dr. Daniel Amen:	-play with you. Dr. Daniel Amen:	So, tell me now. It's 13 years later. Are you happy you climbed over the wall? Tana Amen:	You know, I gotta tell you. I'm just gonna be really honest. When I first said something, like the first time ... And even the second time saying something out loud about something painful in my past, and just being very raw and very vulnerable. It's a little like popping a boil. There's just a lot of pain and ugliness that comes out, and you feel super freaked out and exposed. And like, "What the hell did I just do? I can't take it back now. Why did I do that?" I was thinking I was even kind of mad at you. I was just like, "What just happened? That shouldn't have happened." And then all of the sudden there's this just huge sense of relief. Like shedding something huge. And then, the best part, is that all of a sudden you realize people don't like you less. They like you more. 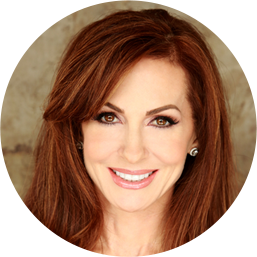 You're like, "They don't like someone that they think is all buttoned up and doesn't-"
Dr. Daniel Amen:	Is perfect. Tana Amen:	Well, they know you're not perfect. They just think you're just kind of stuck up and not telling them what's going on with you. Because no one's perfect. Dr. Daniel Amen:	Do we like Lady Gaga more after she came out with her struggles with mental illness? Tana Amen:	Yes. And here's the funny thing. I don't even have to know, agree, like, connect with so many personal nitty-gritty things in her life to just have huge respect for someone's ... Just that ability and that vulnerability that someone expresses when they give something like that, when they talk about that. Yeah. Huge respect for the fact that she does so much for people with mental illness. Yes. Dr. Daniel Amen:	Okay. The Habits of Happiness. Let's talk about them. 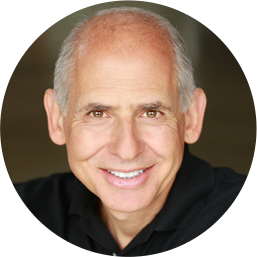 Dr. Daniel Amen:	What are the mental habits of happiness? Tana Amen:	Well, you just touched on one of them. Connection. I used to not connect. I kept myself wall up, disconnected. Dr. Daniel Amen:	But that's interesting because the more time people spend connecting on social media, the more depressed they are. Tana Amen:	That's not the right ... Yeah, that's different. I think that's different. I'm talking about real, being present, connected. Being connected with people. Whether it's social group, whether it's church, for me karate, the people I practice with are amazing. Family. Dr. Daniel Amen:	-connections, or connections on the phone where you're talking to someone, as opposed to someone where you're just sharing photos on Facebook. [crosstalk 00:07:19] Because people just tend to share the perfect pictures. Dr. Daniel Amen:	And that's not life. Tana Amen:	No. And the other thing is, is connecting in a way when you are helping someone else, there is just something hugely powerful about that. It's okay to need help, it's okay to be helped. We're all in both places. But it's also amazing when you can help someone else. There's a high to that. There's a high to giving and helping others talk about happiness. Dr. Daniel Amen:	So one of the Habits of Happiness is not believing every stupid thing you think. Dr. Daniel Amen:	There's two great quotes. One from our friend, Byron Katie. A thought is harmless unless we believe it. It's not our thoughts, but the attachment to our thoughts that causes suffering. Attaching to a thought means believing that it's true without inquiring. A belief is a thought that we've been attached to, often, for years. Tana Amen:	How come you always choose that one? Tana Amen:	What? How did I not even know this? Dr. Daniel Amen:	No! I don't know. You were busy and I wanted you to listen, and you didn't. And so, I had that thought. Tana never listens to me. But I'm disciplined. This is the benefit of being a shrink that does therapy with patients, is ... I'm like, "Oh, what would you tell your patient to do?" Write it down. Tana never listens to me. And then go, "Is that true?" No. She listens to you all the time. Dr. Daniel Amen:	I woke you up early that morning. 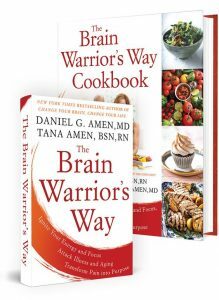 Dr. Daniel Amen:	Or whatever, but if you don't question your thoughts, you believe them. Dr. Daniel Amen:	And then you act out of the belief. So I would have given myself permission to be rude to you. [crosstalk 00:10:18] To withdraw from you. Tana Amen:	And then I would have talked to you more than you would have liked. Dr. Daniel Amen:	So, but the issue is don't believe every stupid thing you think. [crosstalk 00:10:31]. That is a Habit of Happiness. Tana Amen:	And another Habit of Happiness ... Because I took Byron Katie's nine-day course, and I have to tell you, it was the most irritating thing I've ever done in my life, because you want to talk about something that turns your brain inside out and really makes you dig into things that are pretty vile that you have ... Pretty awful things that you ... Thoughts and beliefs. Not thoughts, belief systems that you have held. So, it's hard. It's a hard class. But one of the things that I really like, that's simple, you can take away today. It won't take you nine days ... That I love, and it's another Habit for Happiness is what other people think of you is none of your business, because we spend ... Especially the social media thing. We spend so much energy comparing ourselves, and worrying, and this and that. What'd they say? When someone says something about you, you just go crazy with it. And it can ruin your whole day. And the truth is, what other people say about you is none of your business. And it was just such a freeing thing for me. Because I used to be consumed, in my 20s for sure, and probably half way through my 30s, with what people thought about me. And now, I just don't care, and it's so great. It's just so great. Dr. Daniel Amen:	Well, and I taught you the 18, 40, 60 rule that says when you're 18, you worry about what everybody's thinking of you. And when you're 40, and this happened to you when you were 40, you don't give a damn what anybody else thinks of you. Tana Amen:	It really did. Tana Amen:	They're not thinking about you. Dr. Daniel Amen:	-no one's been thinking about you at all. Even if you're a public figure, no one is thinking about you at all. They're thinking about their lawn. They're thinking about dessert. Dr. Daniel Amen:	They're thinking about whatever. Tana Amen:	Their pictures on Instagram. Dr. Daniel Amen:	All right. In the two minutes left, a couple of other Habits of Happiness. Start every day with, "Today is going to be a great day." Dr. Daniel Amen:	Because then you're gonna begin to train your mind to look for what's right rather than what's wrong. Finish everyday with what went well today. Tana Amen:	and I'm just ... Five minute meditation ... You don't have to make a big thing out of it. Five minute meditation. Five minute medi- ... I've got tons of meditations on YouTube. You have meditations. We have them on BrainFitLife. Tana Amen:	Just learn how to meditate, five minutes a day, will change your life. Dr. Daniel Amen:	Habits of Happiness. Stay with us, we're gonna talk about your relationships.